Bernardsville is a borough located in the rolling hills of northern Somerset County. Bernardsville has the 10th-highest per capita income in the state. Nationwide, Bernardsville ranks 75th among the 100 highest-income places in the United States (with at least 1,000 households). As of the 2010 United States Census, the borough's population was 7,707. At 12.9 square miles, the town is medium sized in terms of land, but has a larger population than many of its surrounding towns (with the exception of Bernards Township aka Basking Ridge), which includes, Far Hills, Peapack-Gladstone, Harding Township, and Mendham. The borough offers a quaint, calm and pedestrian lifestyle with many convenient amenities including two major grocery stores (Kings and Shop-Rite), several independent cafes, a Starbucks, family-friendly restaurants, ice cream shops, as well as several upscale Zagat-rated dining options where even the most discriminating taste buds can find something appealing within close proximity. One must see restaurant is The Bernard's Inn - mostly frequented by the "rich and famous" but all are welcome. Those looking for more options can head to nearby Morristown for an even wider choice of restaurants, shopping, museums, and a vibrant night life. The Bridgewater Commons and the upscale Short Hills Mall are also nearby and provide some of the area’s best shopping. There are many kid-friendly parks, an old fashioned 3-show movie theater, state of the art recently renovated public library, one of the best and biggest YMCA facilities in NJ, smaller fitness centers, spas, along with traditional and eclectic clothing boutiques in the center of town. The Bernardsville Municipal Pool Complex is conveniently located on three spacious acres on Seney Drive. The complex consists of an 180,000 gallon main pool, a wading pool complete with rain tree and squirting porpoise, and an intermediate pool. There is also a picnic area with grills and full service snack bar, and a play area. There is also a variety of walking and biking trails around town. Other scenic outdoor venues in town or nearby include Lord Stirling Park, The Rapture Trust, Jockey Hollow Park, and The Audubon. Golfers can choose from some of New Jerseys finest courses including Roxiticus Golf Club, Somerset Hills, and Basking Ridge country clubs. There are also many state and local outdoor parks which offer summer camps and year round sports programs for children of all ages. 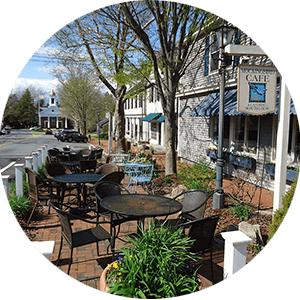 Bernardsville Borough is a quaint, close knit, all-American town of residents, which has successfully managed to maintain its small town charm in the face of modern-day development pressures. 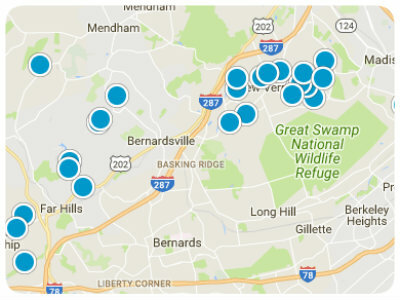 Bernardsville is an affluent town with very diverse housing options. The Bernardsville Mountain provides traditional sprawling 19th and 20th century mansions which have housed many distinguished politicians, executives and celebrities. There are also more modest accommodations including Craftsman style homes, Center Hall Colonials, Cape Cods, Ranches, and Townhomes closer to the town center. Public school students in grades PreK–12 attend the schools of the Somerset Hills Regional School District, a regional school district serving students from Bernardsville, Far Hills and Peapack-Gladstone, along with students from Bedminster who are sent to the district's high school as part of a sending/receiving relationship. Bernards High School is a comprehensive four-year regional public high school. 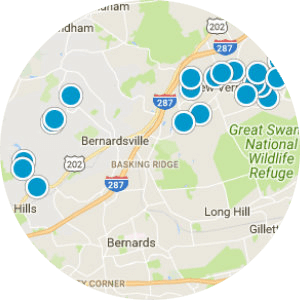 The high school is located in Bernardsville, within walking distance from the main section of Bernardsville. In its 2013 report on "America's Best High Schools", The Daily Beast ranked the school 235th in the nation among participating public high schools and 18th among schools in New Jersey. The school was ranked 169th in the nation and 12th in New Jersey on the list of "America's Best High Schools 2012". The school was the 11th-ranked public high school in New Jersey out of 328 schools statewide in New Jersey Monthly magazine's September 2012 cover story on the state's "Top Public High Schools”. Somerset Medical Center and Morristown Medical Center are just a short distance away. 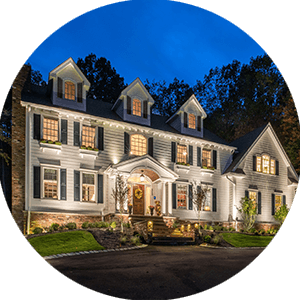 Bernardsville is an ideal commuter town for both firms based out of New York as well as local companies with headquarters based in town or nearby. Bernardsville also has excellent public transportation boasting its own NJ Transit train station with midtown-direct service to New York Penn Station within 74 minutes. There is also a bus shuttle service to Port Authority serviced by the Lakeland Bus Company with a stop adjacent to the train station. Additionally, Newark Liberty International Airport is approximately a half hour away.